Silverhawk Aviation, in conjunction with Norfolk Airport Authority ( KOPK ), And EAA, as well as many other organizations, sponsored the Nebraska State Fly-In and Airshow this past June 24th. This was an excellent opportunity to reach out to our local aviation colleagues, industry enthusiasts and the community of Norfolk, Nebraska. 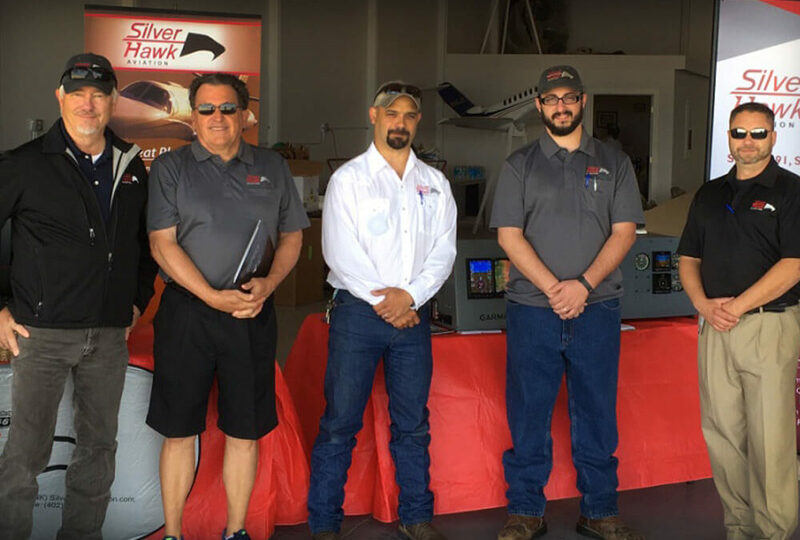 Silverhawk Aviation provided a King Air C-90 and a Cirrus SR-22 to the static display on the field to represent some of our Charter, Fractional, and Jet Card solutions. This was an excellent opportunity to reach out to the aviation community and to continue to present our solutions to the industry’s aviation needs in the State of Nebraska and beyond. Silverhawk Aviation is an authorized Cessna, Beechcraft, and Cirrus Service Center based in Lincoln, Nebraska KLNK. Silverhawk Aviation’s Avionics department provided a Garmin Avionics Display in an effort to show how we can serve the needs of our State’s aviation community by assisting those aircraft owners with ADS-B Upgrades and Scheduled or Unscheduled Maintenance needs.